The biggest football championship of the year is well underway, and millions of people around the world are glued to the television in order to keep an eye on their favorite team and root for them as they work their way towards victory. However, a lot of these matches seem to require some sort of TV subscription in order to watch. Fortunately, there are ways to watch a live stream of FIFA World Cup in order to ensure you don’t miss a moment of the action. There are multiple methods by which you can watch a live stream of FIFA World Cup, and odds are that there are at least a few different ways that you can tune into the games – even if you don’t have access to traditional cable. The FIFA World Cup is an immense event with hours upon hours of games to watch if you want to keep apprised of the action, and getting access to the games you enjoy can be difficult if you don’t know where to look. Not all of these services will be available in your area, but odds are that you’ll be able to find at least something that will allow you to watch a live stream of FIFA World Cup. For the Spanish speaking among us, it doesn’t get much better than Univision Deportes. Representing on the largest SPanish language television networks, Univision Deportes is offering a free live stream of FIFA World Cup – and will be delivering some of the most in-depth coverage of the tournament we’ll see over the coming weeks. This is one of the few apps that don’t require a cable subscription, and you can download the app in either English or Spanish in order to watch the game. It’s one of the best ways to watch a live stream of FIFA World Cup, and we encourage you to give it a try. Not everyone may be able to understand the commentary, but you’ll at least be able to tune in and see your favorite games for the low, low cost of free. Fox Sports is one of the most fully-featured sports apps on the market and one of the best ways to live stream FIFA World Cup. The catch is that you’ll need a TV provider subscription in order to access the content, but if you’re looking for a way to access the live stream while you’re away from your TV it’s definitely an incredibly viable option. One of the most useful perks of the Fox Sports app is the ability to watch all of the matches that you’ve missed or quick highlights of the game via the Fox Sports Go replay tab. All in all, it represents our top pick to live stream FIFA World Cup if you happen to already have access to a TV provider subscription. Telemundo has an incredible amount of World Cup coverage, and currently boasts over 1000 hours of FIFA World Cup Content. 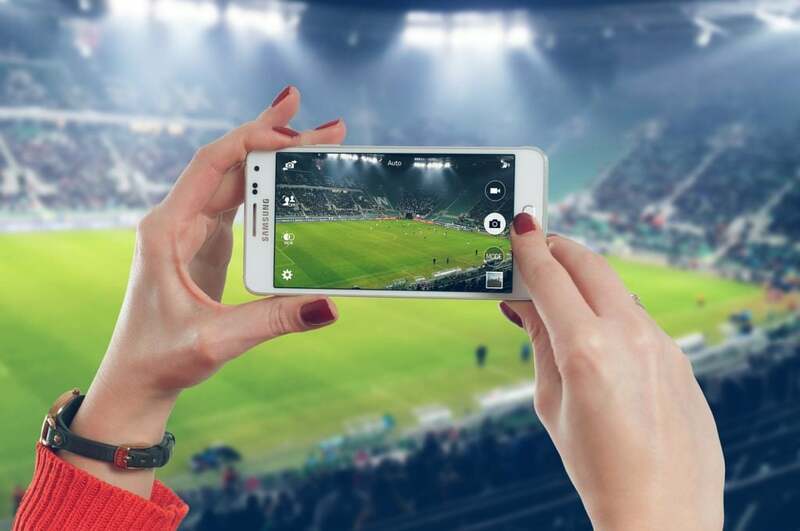 There are multiple ways in which you can access Telemundo coverage, with three different apps including the NBC Sports app Telemundo Deportes En Vivo, and the Telemundo app giving you ample opportunity to tune in at your leisure. While some of the content does provide a subscription in order to access the footage, Telemundo is broadcasting all of the Group Stage matches online for free without requiring a paid TV subscription. It may not be a viable way to watch the finals for free, but for the group stage live stream of FIFA World Cup, it’s one of the most widely available and comprehensive apps on the market. ESPN is perhaps one of the biggest names in sports broadcasting, so it makes sense that you’d be able to watch a live stream of FIFA World Cup via their dedicated app. It’s important to note that the app requires a paid subscription, but considering the substantial content you’ll have access to as a subscriber it’s more than worth the price. In order to start watching the World Cup, all you need to do is download the application and log in with your cable account. In addition to live footage of the game, you’ll find in-depth commentary that can keep you up to date on the various goings on during the matches. If none of these options will work for you, it’s possible that there are other live TV options that you can use in order to watch a live stream of FIFA World Cup such as Hulu TV or YouTube TV. While those do cost money, it’s likely a lot less expensive than keeping up a cable subscription specifically for the World Cup – just ensure that the package you sign up for has access to the tournament before you make the jump to buy.